Some of the home appliances has turned out to be really essential for a comfortable living. Without any doubt, air conditioner is one of them. 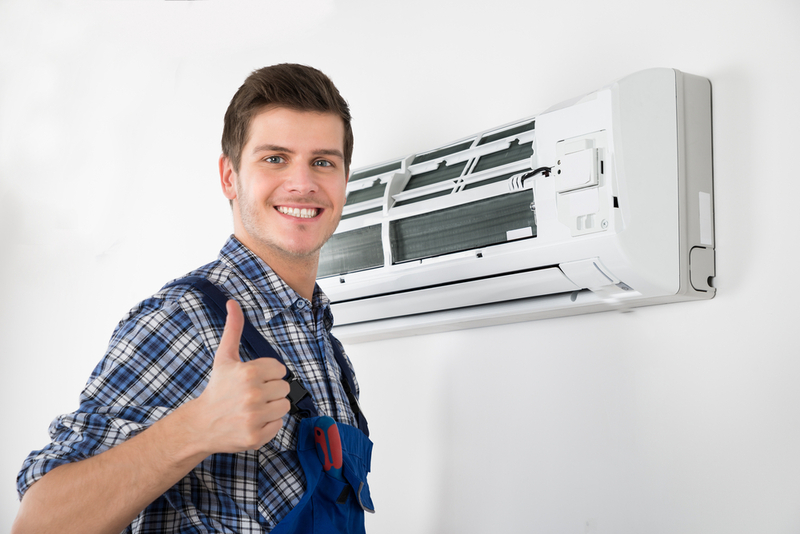 If you are living in a region where the temperature soars high during the summer season, you will definitely feel the need of an air conditioning system. Looking at the current market, it can be said that windows air conditioners are not as popular as the split air conditioners. Most of the customers prefer purchasing a split AC rather than a window one. What are the reasons that add to the popularity of split air conditioners? The benefits of split air conditioners are not limited to their efficiency, but design as well. Before you start looking for a split system air conditioner, check out the the major benefits related to it. It’s important to know the basic explanation of the design and working of split air conditioners if you are planning to buy one. Like the name suggests, these air conditioners are divided into two units; sometimes even more. However, the two-unit split air conditioners are the more common one. One component is installed inside the building, and the other one is placed outside. It is the outer component which contains the compressor. It is possible to power two indoor units with just one compressor. In such cases, the compressor has to be powerful enough. Now, let us focus on the benefits. #1. Easy to install– The installation process of split air conditioners is quite simple, mainly because it does not involve any ductwork. The distance between the indoor and outdoor unit can be a maximum of 100 feet. Only the copper tubing and water outlet pipes have to be installed, along with the wiring. #2. Low on maintenance– Unlike the window air conditioners, the split air conditioners do not require frequent cleaning. Since the compressor is located outside, therefore the indoor unit does not get affected with external pollution or climate ravages. Plus, you can also wash the filters from time to time just with water splash, and keep the air conditioner in good condition. #3. Noise-free operation- This is perhaps one of the main reasons that made split air conditioners quite popular. Split air conditioners are quiet enough for classrooms, libraries, bedroom, boardrooms, etc. The reason behind is easy to understand; after all, the outdoor unit is placed outside, and hence the noise made by the compressor does not cause any disturbance. #4. Climate control- Most of the split air conditioners manufactured these days come equipped with the feature of climate control. Now, this feature makes a split system air conditioner capable of heating the surroundings when required. So, you can use your split AC during the winter days as well and make it function in a dual way around. #5. Cost effective – Split air conditioners are more advanced when compared to the window air conditioners. Split ACs are highly energy efficient, and they are capable of distributing the cooled air uniformly throughout the space. Split Acs cool rooms of all sizes more quickly and thus you will surely end up saving a lot of money every month. So, those were some of the major advantages of split air conditioners. Aesthetic aspect is another major reason that has made the split ACs so popular. When you purchase one, do not forget to check the warranty of the machine. Ensure that the dealer should provide instant technical support in case any issue pops up. This is the reason why online reviews must be checked thoroughly before zeroing down your option. Price comparison can also help you a lot in determining the right option without pinching your pocket.